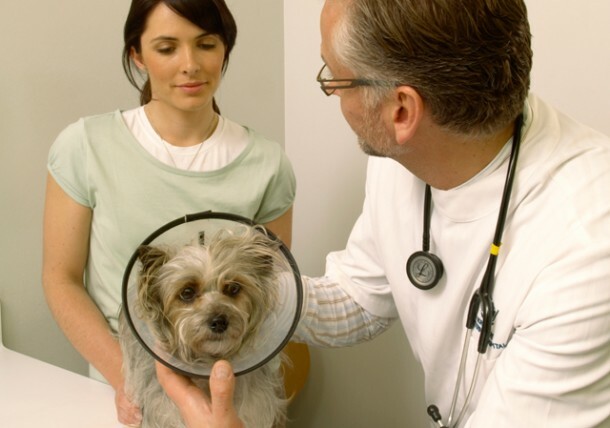 There are many steps that a veterinarian takes in preparation for surgery. Not all situations or procedures are the same, and your pet may require different care than what is outlined in this article. Whatever the case, your veterinarian will follow procedures that are established to keep your pet safe during surgery. Bloodwork will be performed on your pet prior to surgery, sometimes on the day of surgery. It is considered the standard of care to perform necessary tests to evaluate the condition of the kidneys, liver, blood sugar, hydration status and red blood cell count. If the bloodwork is within normal reference limits, your veterinarian will proceed with preparing for the surgery. However, if there are abnormalities, surgery may be delayed for the safety of your pet, or the veterinarian may make procedural and anesthetic protocol changes to decrease the risk to your pet. Each individual patient is different, and your veterinarian will choose the most appropriate diagnostic tests. The day before the surgery, the veterinarian will recommend withholding food from four to 24 hours prior to the surgery depending on the age, species and breed of your pet, what underlying medical conditions are present and the type of procedure to be performed, so that it has an empty stomach for surgery. Sometimes recommendations regarding water intake may also be provided. This helps to reduce the potential for vomiting during or after surgery. When your pet is recovering from surgery/anesthesia and not fully awake, they do not have a normal gag reflex. If your pet was to vomit during this recovery period, the inhalation of food, called aspiration, could occur, which can cause pneumonia or, in severe cases, make it impossible for your pet to breathe. There are certain instances (e.g., diabetic and very young patients) when your pet’s doctor may have you feed them prior to a surgery; however, this decision will be made on a case-by-case basis. The day of scheduled surgery, your veterinarian will perform a thorough physical examination on your pet. This will include: (1) listening to your pet’s chest to check the heart for murmurs or irregular beats, (2) listening to the lungs to ensure they are clear and air is passing through them easily, and (3) checking the eyes, skin, muscles and haircoat and palpating the abdomen. This examination will not take long, and you may not realize that the veterinarian is doing all of these things because they may be talking to you about the surgery. Now it is time for the patient to be prepared for surgery. A small area, typically of the front leg, will be shaved to allow for placement of an intravenous (IV) catheter. This catheter is crucial to allow for administration of medications and fluids during surgery. Depending on the patient’s situation, various injections will be given, such as those to prevent vomiting, reduce pain, provide calming sedation or increase a slow heart rate. Next, an injection of a short-acting anesthetic is given into the IV catheter. Your pet relaxes so an endotracheal tubespecific type of tracheal tube that is nearly always inserted through the mouth or nose can be placed in the tracheathe windpipe; a tube that connects the pharynx and larynx to the lungs to protect the airway. The tube is tied in place to the upper jaw or secured behind the head. The gas anesthetic machine is attached to the endotracheal tube, allowing your pet to breathe oxygen and regulating the amount of anesthetic gas to be administered, which a technician monitors. The surgical area is then aseptically (sterile) prepared. The fur is shaved over where the incision will be to prevent fur from entering the surgical site and to allow for adequate cleaning. Your pet is now ready for surgery. When surgery is completed, the gas anesthetic is turned off, and your pet is taken off of the anesthetic machine and the monitoring machines. When your pet is awake enough to swallow, the endotracheal tube is removed. A technician now watches your pet until it is fully awake and ensures that it is warm. Additional pain medications and sedatives will be given depending on the procedure and sometimes antibiotics as well. There are risks involved in any surgery or anesthetic event, but they are few and will always be discussed with you prior to the procedure. It’s important to ask your veterinarian any questions you have regarding surgery or anesthesia prior to the big day; education is a big part of veterinary medicine. Veterinarians and veterinary staff closely monitor your pet throughout the surgical process and are vigilant about keeping your pet safe. Follow your veterinarian’s directions before and following the surgery to help minimize your pet’s risk of complications. Stan Blackwell, DVM, MBA, is a graduate of Michigan State University’s College of Veterinary Medicine who resides in the oldest town in Texas—Nacogdoches. He works as a federal government employee as a veterinarian.